The 340B Coalition has established discounted rates through the following airlines below originating in the United Sates to/from Washington, DC (DCA, IAD, BWI) to attend the 2018 340B Coalition Summer Conference. Be sure to use the reference numbers when making your reservations. Contact the airlines directly should you have any additional questions about travel restrictions and booking information. Up to 10% discount off fares. Valid travel dates are July 6-16, 2018. Once on united.com , scroll to the menu bar at the bottom of the screen, click on Products & Services, and then Travel for Groups & Meetings. On this page click on United Meetings, and then Book Meetings Reservations. Enter the offer code in the box provided. 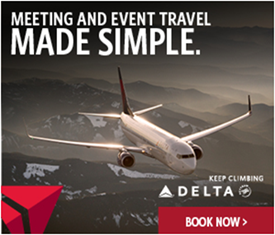 Delta Air Lines is pleased to offer special discounts for 340B Health.